Expression of Transforming Growth Factor-β (TGF- β) Family in Nasal Polyps and Postoperative Polypoid Mucosa after Functional Endoscopic Sinus SurgeryYeong Seok Yun, MD ; Jong Chul Choi, MD ; Tae Young Jang, MD ; Dong Hak Jung, MD ; Department of Otorhinolaryngology-Head and Neck..
Laryngotracheal Reconstruction Using The Vascularized ClavicleDong Hak Jung, MD ; Seung Yeoung Song, MD ; Jung Sun Yoon, MD ; Young Seok Chung, MD ;Department of Otorhinolaryngology & Head and Neck Surgery, College of Medicine, InHa University, Sungnam, KoreaKorean Journal of..
Two Cases of Dermoid Cyst Inducing DyspneaDong Hak Jung, MD ; Jung Il Cho, MD ; Young Jin Kim, MD ; Jung Sun Yun, MDDepartment of Otorhinolaryngology & Head and Neck Surgery, College of Medicine, InHa University, Sungnam, KoreaKorean Journal of Bronchoesophagology Vol. 3 No. .. 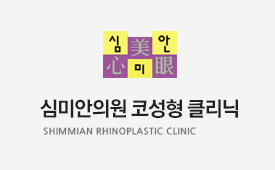 Treatment of Laryngotracheal Stenosis : Combined Cricoid Augmentation by Autologous Cartilage and Laryngotracheal AnastomosisDong Hak Jung, MD ; Byung Hun Kim, MD ; Jung Il Cho, MD ; Young Jin Kim, MD ;Department of ORL-HNS, InHa University, College of Medicine, Sungnam, Korea Ko..
Endoscopic and Radiologic Assessment of Endoscopic Sinus Surgery in Patients with Chronic Paranasal SinusitisTae Young Jang, MD ; Kyu Sung Kim, MD ; Jeong Hyeon Jo, MD ; Dong Hak Jung, MD ;Department of Otorhinolaryngology, College of Medicine, InHa University, Inchon, Korea J Rh..